Coppell ISD associate superintendent Sid Grant addresses the Board of Trustees on the boundary realignment updates during the CISD Board Meeting on Monday. 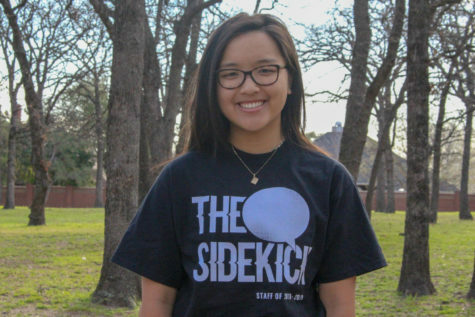 After months of working with demographers to properly delineate between campuses, several concerns are still apparent from parents in the Irving area. On Monday night’s Coppell ISD Board of Trustees meeting, a full house gathered to support both elementary and secondary Teachers of the Year. Surrounded by their family members, friends and coworkers, campus Teachers of the Year were also acknowledged for qualifying for National Teacher of the Year, a program that recognizes and rewards excellence in teaching and is the highest honor awarded to an educator of the United States. Emanating the celebratory notes, since January is School Board Recognition Month, the board was thanked for their dedication and sacrifice. The theme of the 2018-2019 school year for CISD was planting seeds of greatness, an achievement the seven board members were recognized for through a video compilation of each school in the district. After giving thanks and recognizing both the Board of Trustees and the Teachers of the Year, the meeting transitioned to the open forum. This portion of the evening focused on realigning the school boundaries for the 2019-2020 school year, following the new elementary school in Valley Ranch, Canyon Ranch Elementary. 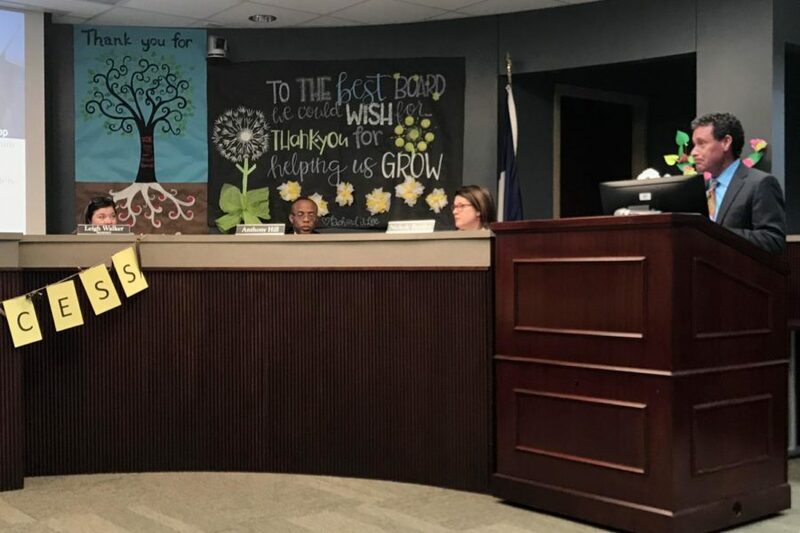 Several parents voiced concern on the new boundaries that would not only affect elementary school students, but middle schoolers in Coppell Middle School East. The decreasing diversity and hindrance on friendships were among the few concerns. Irving resident Jennifer Lee’s son attended Valley Ranch Elementary when his school was rezoned and half of the school was shifted to Lee Elementary. In the upcoming year, he will need to shift once again from CMS East to CMS West. If the boundary realignment occurs as scheduled, Lee’s son will be one of eight percent of Caucasians in his class. Associate superintendent Sid Grant briefly expounded on the reasoning behind the boundary realignment, revealing that the district has worked closely with professional demographers. The district also will host a Boundary Realignment Facebook Live tomorrow at 6:30 p.m. The Board will consider and adopt the final Boundary Realignment Model at its Feb. 25 meeting. I would like to point out that the professional demographers Sid Grant refers to are the same demographers (Templeton) that failed to account for the current student growth we are experiencing on the south side of the school district after the most recent boundary realignment in 2014-2015. Further, only 3 scenarios were considered. As a result, there will be little to no diversity at West, and that is simply inexcusable. Additional scenarios should be explored so that our middle schools reflect the diversity of our district. None of the middle schools are at capacity per the current forecast, so let’s take the time to ensure our middle schools reflect the diversity in our district, allow our children to maintain long established friendships, and honor the concept of neighborhood schools.